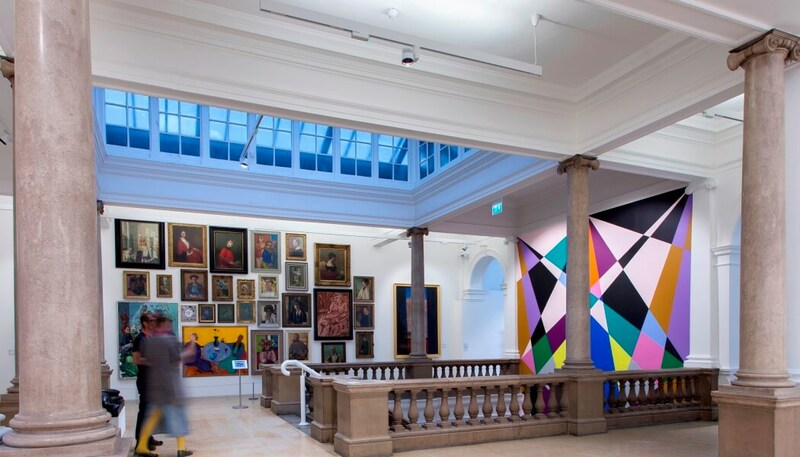 Leeds Art Gallery was recently closed for 18 months to complete a £4.5m refurbishment of the building and its glass roof. During the refurbishment project the lighting throughout the gallery was also upgraded to meet the needs of the new décor and highlight the artwork on display. 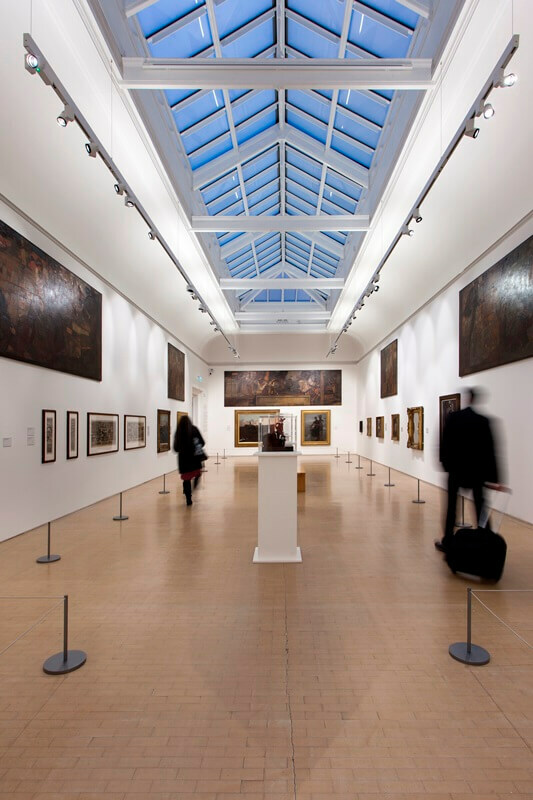 When the team at Leeds Art Gallery started its extensive renovation to re-glaze the glass roof, they were completely unaware of the wonderous new space they would uncover along the way. While undertaking the restoration, the cladding from the central gallery was removed to reveal a stunning double height original barrel-vaulted ceiling. The central court formed the centre of the original 1888 Leeds Art Gallery. Now fully restored the glass roof is providing the gallery with increased natural daylight and works in perfect harmony with the ambient lighting the Concord Beacon Muse spotlights offer. 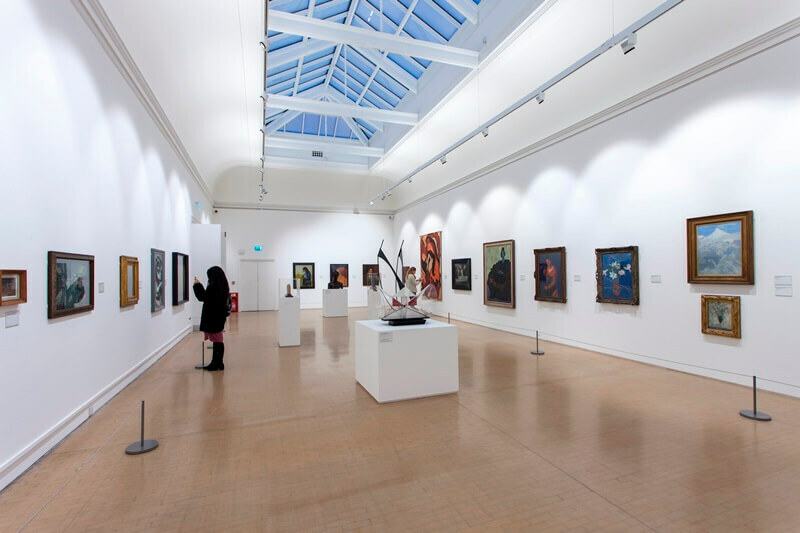 The team at Leeds Art Gallery worked closely with Concord to select the luminaires that best met their requirements. After careful consideration, the Gallery selected a combination of the Concord Beacon XL Muse and the Beacon Muse II luminaires installed on the Lytebeam track. A variety of Concord Beacon XL Muse and Beacon Muse II spotlights have been installed in the majority of the galleries. The Concord Beacon XL Muse features intelligent LED technology and ancient lens principles to create a fully adjustable spotlight making it an ideal solution for museum and gallery lighting. 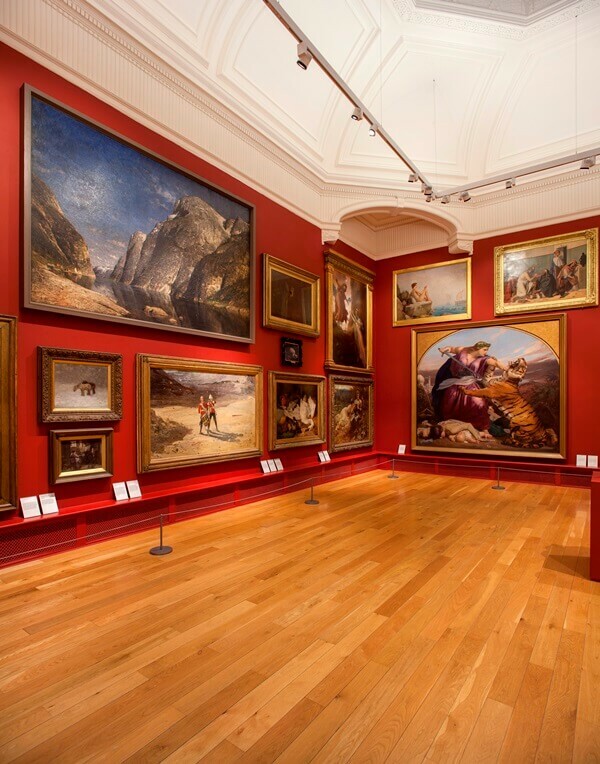 It provides Leeds Art Gallery with a flexible, high quality solution that can be easily adjusted. Artwork and exhibits are often changed and updated, and the Beacon XL Muse lends itself perfectly to this environment, especially as a continuous lighting upgrade would otherwise be required. The spotlight’s beam angle can be adjusted from 10° to 70° and has a dimmable range of between 5-100%. In addition to this, the position of the spotlight can also be physically adjusted, with a rotation of 355° providing a near full rotation from a fixed position. The Concord Beacon XL Muse can also incorporate a multitude of customisable aspects, with options for Sylsmart wireless dimming available through App Control. When paired with a smartphone via a free application, scenarios can be set up with single or multiple luminaires, and light levels can be set according to the needs of the end user. This wireless feature adds great benefit to the luminaire where multiple occupants require different lighting needs. The Beacon Muse II builds on the innovative features found within its predecessor but now incorporates more powerful LED technology with a total fixture output of 1081lm and adjustable beam angle from 8° to 55°. For more information visit http://www.sylvania-lighting.com/en-int/.